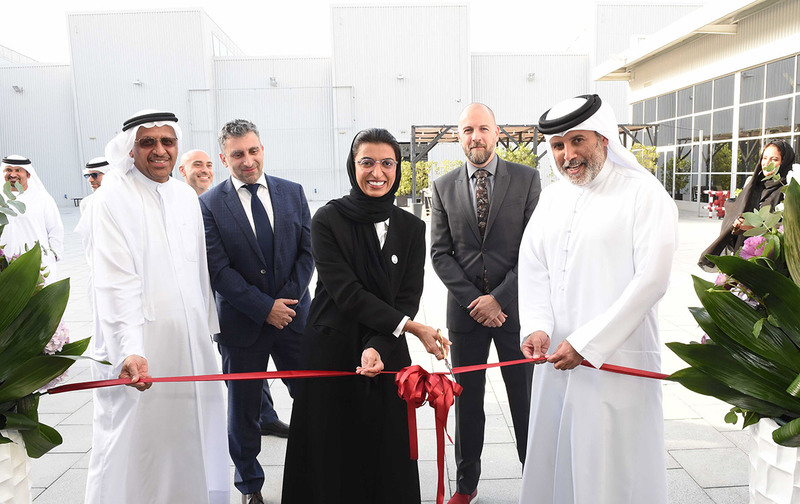 H.E Noura bint Mohammed Al Kaabi, Minister of Culture and Knowledge Development, President of Zayed University, has inaugurated the Zayed University Urban Satellite Space (ZUUSS), a partnership with Alserkal Avenue, that aims to support students’ talents and sharpen their artistic abilities. Opening with the support of Abdelmonem Bin Eisa Alserkal, the space is located in Warehouse 48 at Alserkal Avenue in Dubai. The space will be open to the public and operates as an off-campus art and design hub for the university’s students, alumni, and faculty, and will host exhibitions, workshops, lectures, panel discussions, and community events. 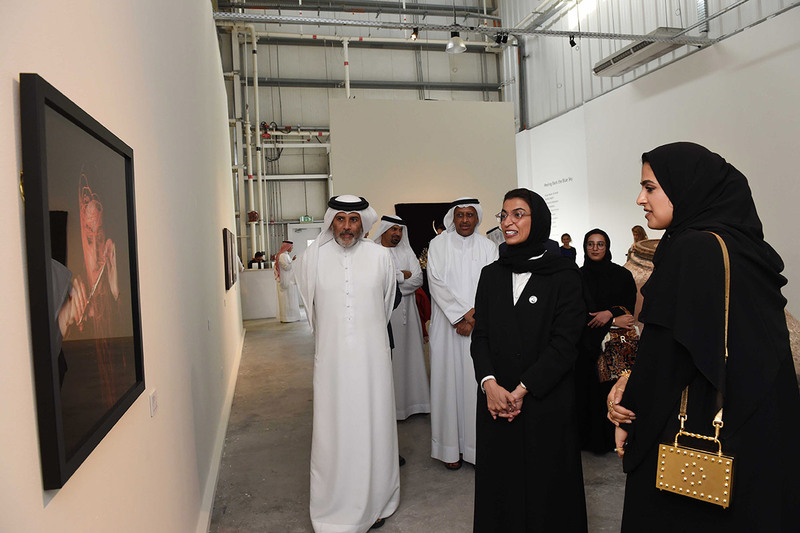 Her Excellency pointed that this addition gives the UAE’s cultural movement greater fortune and further vitality. 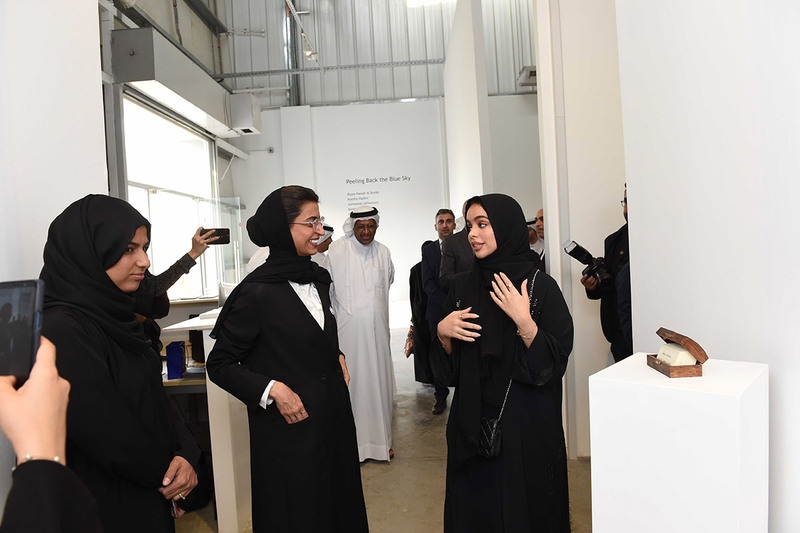 “ZUUSS is not just showcasing remarkable art and design, but also interlocks Zayed University students with other bright minds and field experts,” she said. Adding, "We see our role as fostering and building a vibrant art and design community in the UAE and abroad through our graduates, the new up-and-coming artists, designers, gallery curators, art policymakers, educators and arts administrators. Art and Design are major contributors to a nation’s creative economy, and they are the most significant export of a country in establishing its global identity." 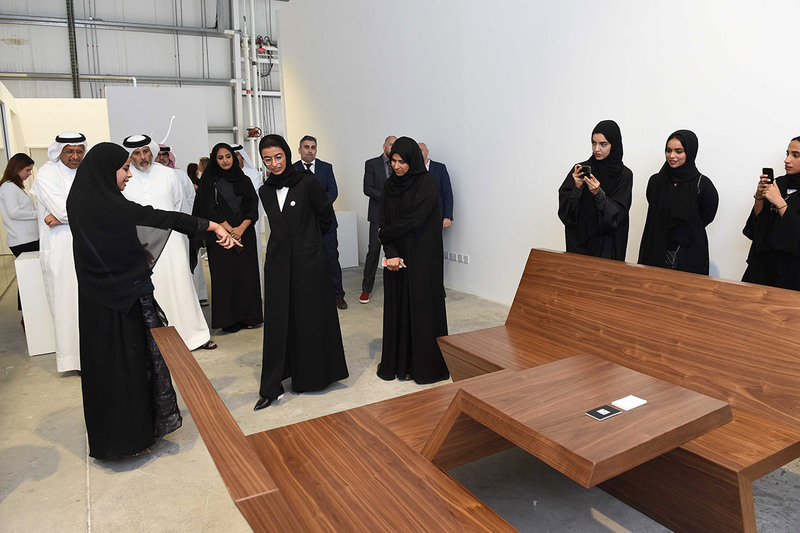 During the “Peeling Back the Blue Sky” opening ceremony, H.E Noura Al Kaabi toured the avenue alongside Abdelmonem Bin Eisa Alserkal, Founder of Alserkal Avenue, Prof. Reyadh AlMehaideb, Vice-President of Zayed University, Vilma Jurkute, Director of Alserkal Avenue, and Kevin Badni, Dean of the College of Arts and Creative Enterprises, and a number of ZU faculty members and staff from both campuses. “Outreach and connecting with the youth of the UAE has always been an integral part of what we do at Alserkal Avenue. Zayed University’s Urban Satellite Space is a continuation of our longstanding partnership with Zayed University. We look forward to welcoming aspiring artists and designers to Alserkal Avenue and to bringing our audiences engaging and thought-provoking programming from the CACE faculty and students.” says Abdelmonem Bin Eisa Alserkal, Founder of Alserkal Avenue. The inaugural exhibition showcases artworks and designs from students, and alumni from CACE, namely, Ayesha Hadhir, Jumaanah Alhashemi, Maitha Abdalla, Mariam Eisa Al Fahim, Meera Alhameli, Narjes Noureddine, Rawdha alKetbi, Shaikha Al Ketbi. 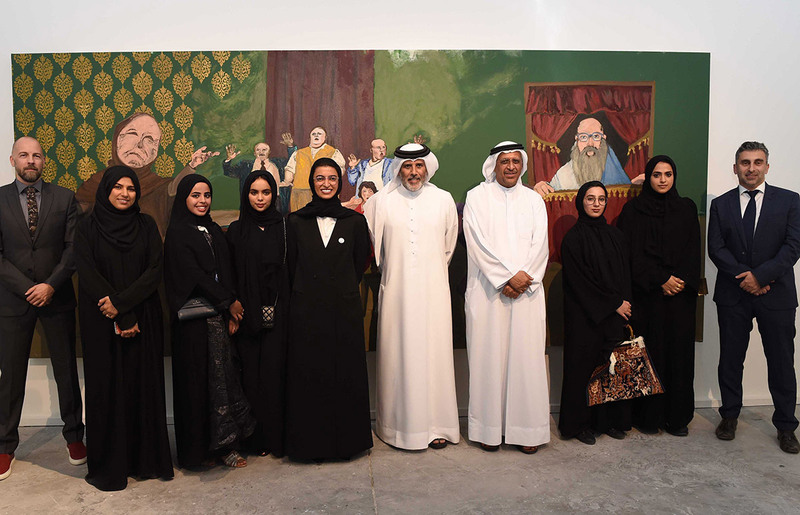 The project space was initiated by the previous dean of CACE Ann-Maree Reaney in collaboration with Walter Willems, Exhibitions Curator at Zayed University. For the opening of ZUUSS, CACE unveiled the winning design of the Bespoke Furniture Design Contest 2018 hosted by Vision Furniture & Decoration Factory, Abu Dhabi. The winner of the contest was Alyaa Nasser Al Breiki. The piece was constructed at Vision Factory and is called “112 degrees”. It is worth mentioning that, through ZUUSS, the College of Arts and Creative Enterprises aims to prepare graduates who are leaders in the field of art and design practice and to be innovators who contribute to the cultural fabric of the UAE. The intensive and rigorous art, design, new media and exhibition programs are practice-based and industry-engaged. Faculty members at Zayed University utilize the latest teaching methodologies, underpinned by cutting-edge technology in building innovative learning environments, to inspire the new generation of creative thinkers.